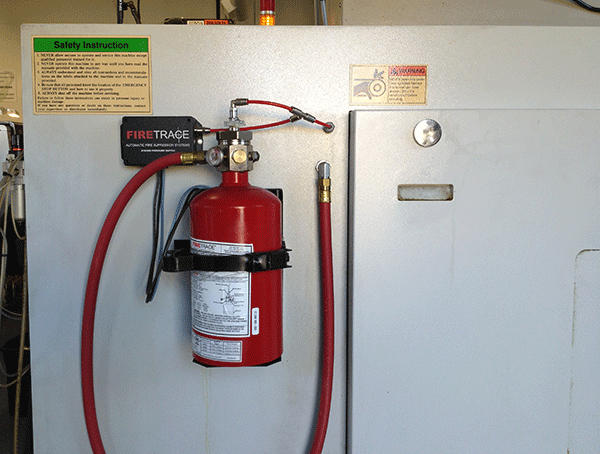 Firetrace Systems provide Cost-Effective, Stand-Alone, Automatic Fire Suppression Systems for your Critical Equipment, Electrical/Technical Systems and various types of enclosures. The effectiveness of a genuine Firetrace System, happens by utilizing the proprietary Firetrace Detection Tubing (a Linear Pneumatic Heat Sensor), which detects a fire due to precise temperature sensitivity, allowing our systems to react quickly and effectively. This unique detection can be run through the smallest or most complex enclosures to ensure detection is always close at hand. 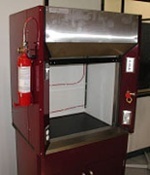 A Firetrace System can be utilized anywhere that a fire poses a risk, and it is flexible enough for virtually any Industrial Equipment, Traditional as well as Emergency Vehicles, Storage Compartments, Control Cabinets or various types of Remote Installations.From CNC Machines and Fume Hoods, to Bus Fire Suppression, a Firetrace System is the leader in reliable Automatic Fire Suppression for your critical equipment care. /suppression/firetrace quickly detect and suppress fire, directly at the source, efficiently and automatically. Are totally self-contained, requiring NO Electrical Source, and they remain TOTALLYoperational during power outages. 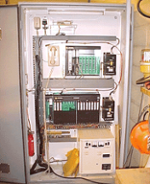 Do Not require an expensive control panel and are the most cost effective automatic fire suppression systems available. Carry major listings and approvals such as UL, CE, FM and ULC. ensuring the best agent is used for all applications. 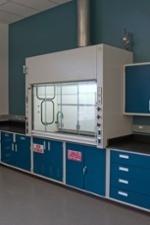 Simple design and application can be installed in a few hours, significantly reducing expensive labor costs. Feature the reliable Firetrace Detection Tubing that virtually eliminates false discharges and subsequent down time and expense. Flexible Detection Tubing provides protection in difficult and hard to reach areas where other detection methods cannot be used. Rugged Detection Tubing can be used in Harsh Environments where other types of detection quickly deteriorate, rendering the system inoperable. Are supported by a Global Network of Qualified Distributors assuring your system is maintained to the requirements of the Manufacturer and the AHJ. The Firetrace Direct Release Fire Protection System utilizes the Firetrace Tube as both the "Detection Device" and "Suppressant Delivery System“. As the fire begins, the portion of the tube nearest the point where the most heat is detected ruptures, forming an effective spray nozzle. The pressure will then drop as the Firetrace tube releases the entire contents of the cylinder through the distribution nozzle to effectively suppress the fire. More than one Firetrace tube can be used enabling the system to cover more area. The Firetrace Indirect Fire Protection System uses the Firetrace Tube as a "Fire Detection" and "System Activation" device, not as the discharge tube. Once the tubing senses the fire, it then ruptures - resulting in a drop of pressure causing the Indirect Valve to activate. This diverts flow from the detection tube to the larger outlet ports. The Extinguishing Agent is then discharged from the cylinder through the diffuser nozzles, flooding the area in a proprietary mix of fire extinguishing chemicals, effectively suppressing the fire quickly and thoroughly. This system is typically used in larger areas that require a high volume of Extinguishing Agents, to effectively suppress the fire. Multiple diffuser nozzles may be added to meet the specific application requirements. The Firetrace Indirect Fire Protection System uses the Firetrace Tubing as a "Fire Detection" and "System Activation" Device, not as the discharge tube. Once the tubing senses the fire, the tube then ruptures and the resulting drop in pressure causes the Indirect Valve to activate. Carbon Dioxide (CO2 ) is then discharged from the cylinder through a fixed piping network and out of the diffuser nozzles, flooding the area in extinguishant and suppressing the fire quickly and thoroughly. Multiple diffuser nozzles may be added to meet the application requirements. Always use caution when considering a CO2 system as the protected areas must NEVER be occupied by a person or persons. Even small amounts of CO2 can be harmful or fatal if inhaled.